– Apple plans to refresh iOS 9, OS X 10.11 using new Apple Watch font: This story details Apple’s plans to utilize a new typeface for iOS 9, taking a page out of the design language for the Apple Watch. – Apple’s planned iOS 9 ‘Home’ app uses virtual rooms to manage HomeKit accessories: This article discusses Apple’s testing of a new application called “Home” that will be used to manage various HomeKit devices within the home. – Apple readies Transit subway, train + bus guides for iOS 9 Maps, deploys robots for indoor mapping: After not being ready for release last year, Apple is apparently finally ready to take the wraps off of its Transit directions service for the iOS Maps application. This story also details Apple’s indoor mapping initiative and special robots roaming the Apple Cupertino campus. – Future of iPad: Dual-app viewing mode, then J98/J99 ‘iPad Pros,’ multi-user support: In this story, we detail three major iPad-centric initiatives, including planned multi-user software support, a split-screen app viewing mode coming in iOS 9, and a pair of 12-inch iPads with enhanced industrial designs. – iOS 9 & OS X 10.11 to bring ‘quality’ focus, smaller apps, Rootless security, legacy iPhone/iPad support: This extensive story reveals Apple’s plans for using its 2015 Mac and iOS updates as a time to introduce significant performance, optimization, and bug fix-based enhancements. Apple is also planning on supporting older iPhones and iPads, while boosting their performance simultaneously. iOS 9 supports ‘iPhone 6S’ Force Touch, may enhance iMessage, Keyboard & Apple Pay: This story discusses how iOS 9 builds in support for the upcoming Force Touch Display feature in the next iPhone hardware upgrade. We also discuss Apple’s plans for adding new features to iMessage, the iPhone and iPad keyboard, and Apple Pay’s next stop. iOS 9 Transit Maps to launch in a handful of cities in North America, Europe & China: This article builds upon our initial report about the mass transit mapping feature coming in iOS 9, and specifies which regions the service will initially launch in. Apple’s ‘Proactive’ to take on Google Now with deep iOS 9 search, Augmented Reality Maps, Siri API: This expansive story provides an in-depth look at Apple’s development of a significant new iOS initiative internally named “Proactive.” Combining major upgrades to Siri, Spotlight, and Maps, “Proactive” is a long-term Apple strategy to combat the Google Now feature found on Android devices. While some users of older iOS devices have speculated that Apple’s recent operating systems were built to encourage the purchase of new phones and tablets, the company has actually been working on ways to make legacy iPhones and iPads more efficient while running the upcoming iOS 9. In what will come as a surprise to many people, our sources note that even A5-based Apple devices, including the original iPad mini and discontinued iPhone 4S, will be able to run iOS 9. In order to avoid the sluggishness and bugginess that was most notably seen in iOS 7 for the iPhone 4, Apple has restructured its software engineering process to better support older hardware. That will certainly please older generation iOS owners especially those who think it’s a deliberate ploy from Apple to slow down iOS releases on older devices to get them to upgrade to the latest hardware. We will have to wait for performance tests nearer the time but that’s a very good sign from Apple that it plans to look after its loyal customers. While Apple has tested the feature with plans to release it for current iPads, we are told that the feature was actually developed with a larger, 12-inch iPad in mind, so it could potentially be held back for a debut with the new hardware. Sources have confirmed that Apple is testing jumbo-sized iPads internally codenamed “J98″ and “J99,” which are apparently larger versions of the Wi-Fi-only and Wi-Fi + Cellular iPad Air 2, save for additional speaker holes. Dubbed “iPad Pro” in prior reports, the larger device’s launch date is yet to be locked down, as the tablet is still waiting for its software to be finished up, and new hardware components to be readily available. While current “iPad Pro” prototypes are said to run a version of iOS that looks like a larger variant of the iPad mini and iPad Air version, Apple’s goal is to further tweak iOS for the bigger iPad so users can better leverage the additional screen real estate. Besides split-screen apps, Apple is considering redesigning core apps and features, including Siri and Notification Center, to be better presented on the larger display. This new iPad is also rumored to have additional keyboard and USB support, and basic manufacturing schematics for the device leaked late last year. The idea of Apple releasing a larger variant of the iPad makes sense especially as iOS matures and each iPad generation gains significant desktop class architecture. Professionals will no doubt embrace the larger display especially with improved multi tasking and split screen capabilities potentially coming as well. I use my iPad all day for work and I am excited at the prospect of more power and a larger canvas to work on. Releasing a larger iPad will potentially kick start the recent decline in iPad sales. Apple has released the first software update for Apple Watch today with the release of Watch OS 1.0.1. The update is available through the Apple Watch app on iPhone. Apple has also added language support Brazilian Portuguese, Danish, Dutch, Swedish, Russian, Thai, and Turkish. The last time Apple made an official dock for the iPhone was when they released the iPhone 5 and the iPhone 5c. Since then, folks have had to rely on 3rd party docks – some have been good and some have been very bad! It is extremely convenient to be able to pop your iPhone straight on to a dock and it starts charging straight away – the amount of times you put your device on charge every day and every week, accessories like a good charging dock are a Godsend. 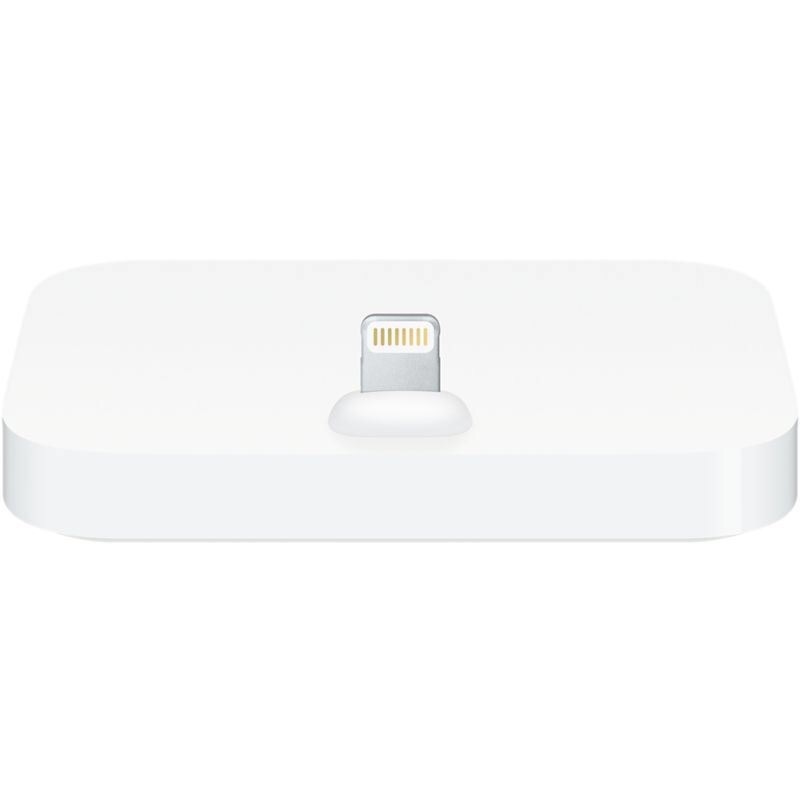 What is also great about this dock from Apple is that it will fit any iPhone with a lightning connection so you won’t have to buy a new dock every time you upgrade your iPhone which is kinda of what tended to happen. Also you should be able to charge your iPhone with this dock without first having to remove a case that you may or may not be using with it. Fantastic and fast rethinking from Marco on how apps should be optimised for the Apple Watch. Hopefully, Apple will allow developers access to the complications at the upcoming WWDC. I had a rough first 24 hours with the Apple Watch. It was seemingly one frustration after another. Then I realized I was trying to use the thing as I would my iPhone. And that’s simply not what this device is. It’s not an iPhone replacement, it’s 100 percent a complement. Which is why some of the initial backlash that you wouldn’t be able to use the device without your iPhone was not only misguided — it was completely backwards. By initiating the calibration process, you can get more accurate readings for calorie, distance, Move, and Exercise estimations in the Watch’s Activity app, and also improved calculations in the Workout app. Bring your iPhone and your Apple Watch. Find an open, flat area outside that offers good GPS reception and clear skies. Make sure that Location Services is on. To check the setting on your iPhone, tap Settings > Privacy > Location Services. Make sure that Motion Calibration & Distance is on. To check the setting on your iPhone, tap Settings > Privacy > Location Services > System Services. I’ve also heard that the first time you wanna go running or work out, take the iPhone with you for the first couple of times so it can calibrate and learn your step pattern. After the first couple of times of taking both devices with you whilst exercising you can then leave your iPhone at home, knowing that the Apple Watch will correctly record your workout data and sync the data back to the iPhone when you have finished. I don’t want to be too harsh on Modular. Apple needs to add more faces like it, with digital time and room for some decent-sized complications. Right now Modular is the only face of its kind on the Apple Watch, and because of that I find it wanting. Still, if one of Apple’s offered complications is more important to you than the time—and if you prefer text to graphics—Modular will work for you. I really like Modular as a watch face – you can tweak the complications to show temperature, sunset, next calendar appointment etc. I like being able to glance at the watch and see a slew of information at a glance. One awesome feature I didn’t know was that the complications are actionable – if you tap/hold down on a complication it will open the application – this is a better and faster way than selecting the app from the app launch screen or even a glance for that matter. Hopefully, Apple will allow 3rd party developers to utilise the complications with their apps because launching apps from a complication is my ideal way and definitely the fastest way of opening an app on the Apple Watch. This isn’t unique to Apple. Other devices with similar technology, such as Fitbit’s Charge HR, are affected by the same issue.